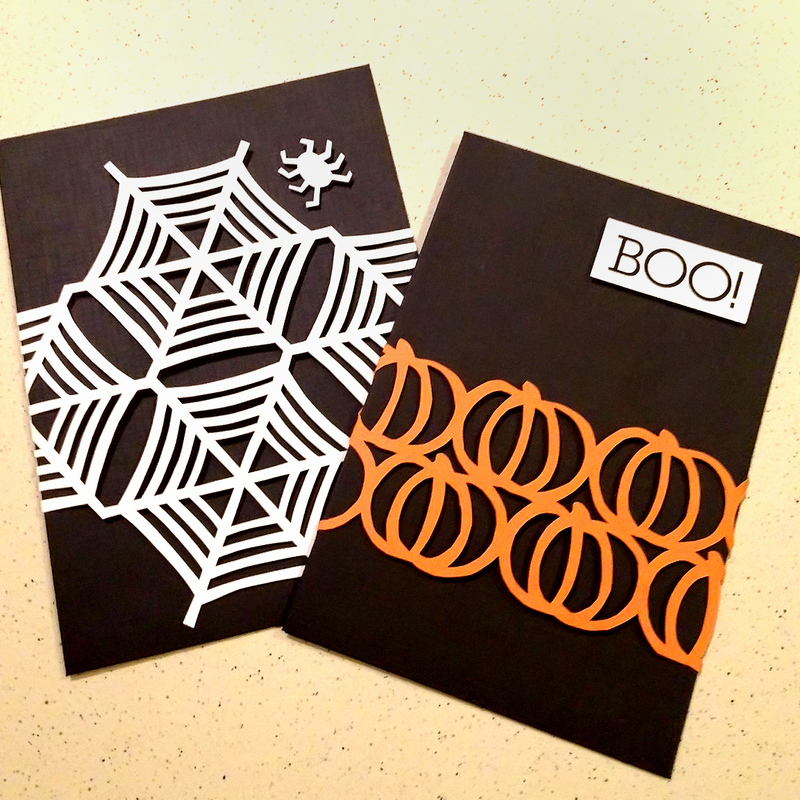 These are 2 samples of Halloween party invitations I made yesterday. 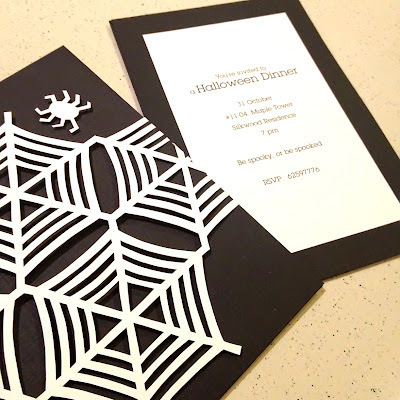 They're a simple 1-piece, with a papercut band on the fronts (spider webs and pumpkins) while behind are the invitation details. 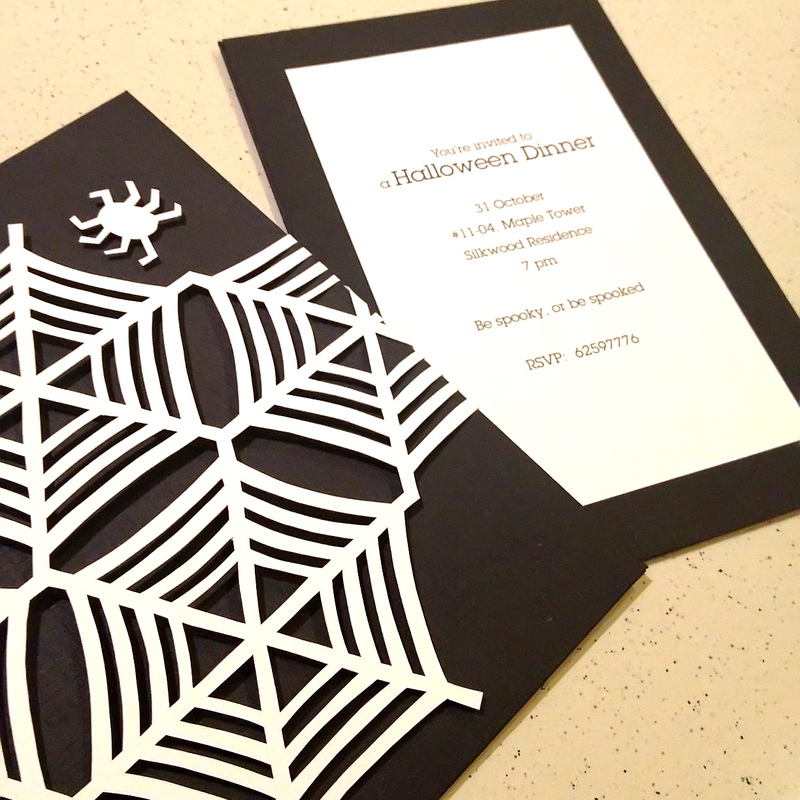 I have a feeling that this idea can go on to wedding invitation maybe within the next two weeks :) We'll see.